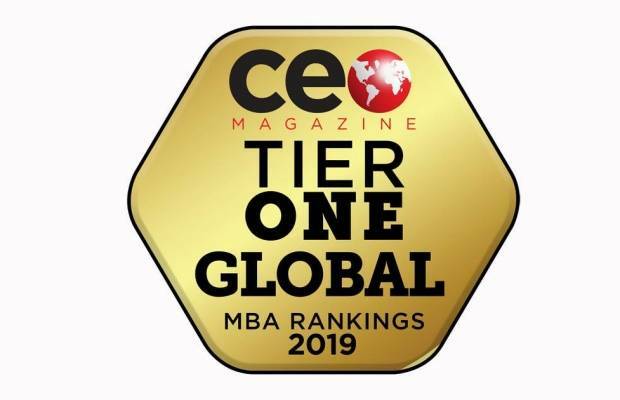 We are proud to announce that MSM is recognized for the third year in a row as Tier One Business School in the newly released 2019 Global MBA Rankings by CEO Magazine. In addition, MSM’s Executive MBA and Online MBA programs are ranked in the top of the world. MSM’s Online MBA maintained its position as the 4th best Online MBA program in the world, making it the best Online MBA in the Netherlands. MSM’s Executive MBA climbed to the 6th position in the world and is the 2nd best Executive MBA program in the Netherlands. The 4th position of the Online MBA in the world and the climbing of the Executive MBA from the 15th to the 6th position in the world clearly proves the high quality of these programs. The CEO Magazine Global MBA ranking is entirely geared and weighted towards fact-based criteria including the quality of faculty, international diversity, accreditations and faculty to student ratio to identify which schools deliver exceptional quality with a great ROI. The Tier One ranking is the highest ranking given by the magazine and based on the overall performance of business schools on these criteria. This year CEO Magazine reached out to business schools across North America, Europe, Australia, New Zealand and the BRICS, and received data from over 290 MBA programs in 25 countries. The Global MBA Ranking has been published in the latest edition of CEO Magazine or online on the magazine’s website.